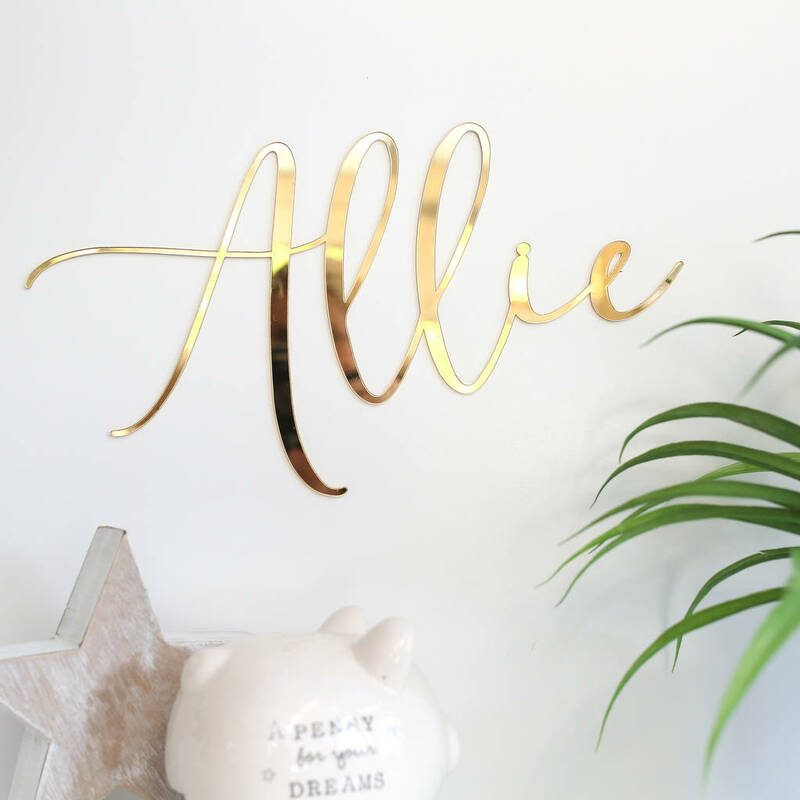 Adorn your little one's nursery with their name beautifully cut out of mirrored acrylic. The perfection addition to your little ones nursery. Choice of colours available including gold, silver, pink, blac, grey and wood. IMORTANT - THIS HAS A MAX WIDTH OF 16INCHES. IF THE WORD/NAME IS SHORT E.G SAM IT WILL LOOK A LOT BIGGER THAN A LONGER NAME SUCH AS ALEXANDER! Max width 16" - height of word depends on length of name. Every name will be 16" wide regardless of name length, therefore 'Sam' willappear a lot larger than 'alexander'.